The quote above feels appropriate for our grand opening a few weeks ago. Just before the event was suppose to start, the sky opened up right above Black Rhino Academy. My Tanzanian friends repeatedly reminded me that rain is a blessing and I was not to complain. Maybe it was that attitude that made the clouds part and the sun to come out only two hours after our official start time (quite on time by Tanzanian standards). In the end the celebration of Black Rhino Academy was a success. After speeches from Axel on behalf of the German foundation and Nickson and myself representing Black Rhino in Tanzania, our Karatu District Commissioner gave a lovely speech praising our efforts to bring high quality education to Karatu. Thank you everyone that helped set up despite the rain. We feel blessed to be surrounded by such a supportive community. A special Thank You to Kunlé, Berend, Godwishes and our consultant team for sharing this special day that you made possible through your hard work! And Thank you to NLÉ for the great model of our next phase of construction. It is amazing to see in detail what is still to come. It was great to have all our German Board Members at the opening celebration especially since it was the first time most of them had seen Black Rhino Academy in person since construction had finished. We would not be here without your continued advice and support. Black Rhino Academy has an exciting year ahead. Our current 10 students will be finishing up their first school year at Black Rhino in July and we will be adding another class in August. With our dormitories finished and getting furnished we will also increase our advertising within Tanzania to reach more people from across the country for enrolment in August. We are looking forward to sharing this journey with you! 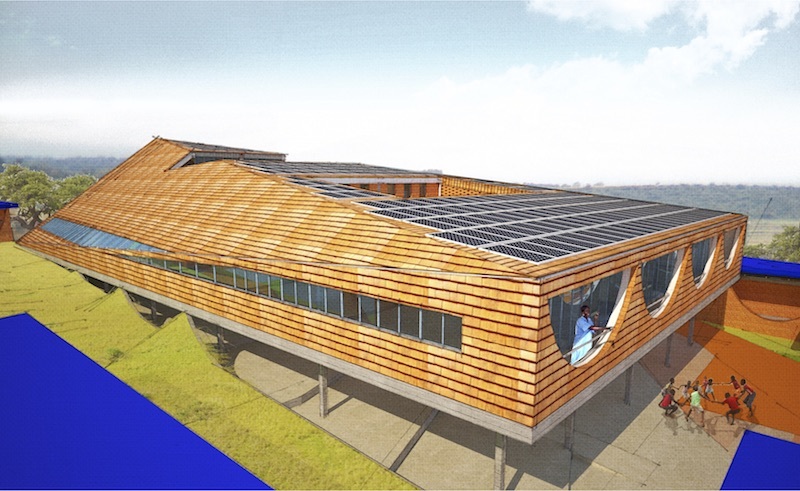 Currently we are raising funds for the school hall, our signature building you can see in the image below. We plan to start construction this year. The school hall will have a library, dining space, administrative offices, kitchen and auditorium. We are looking forward to utilising this new space in 2019. Black Rhino Academy is open! Black Rhino Academy is open!! We are excited to share that we are officially ready for students. Our first classroom building is finished with 5 classrooms. Black Rhino's headmistress and teachers are busy decorating and making classroom rules. 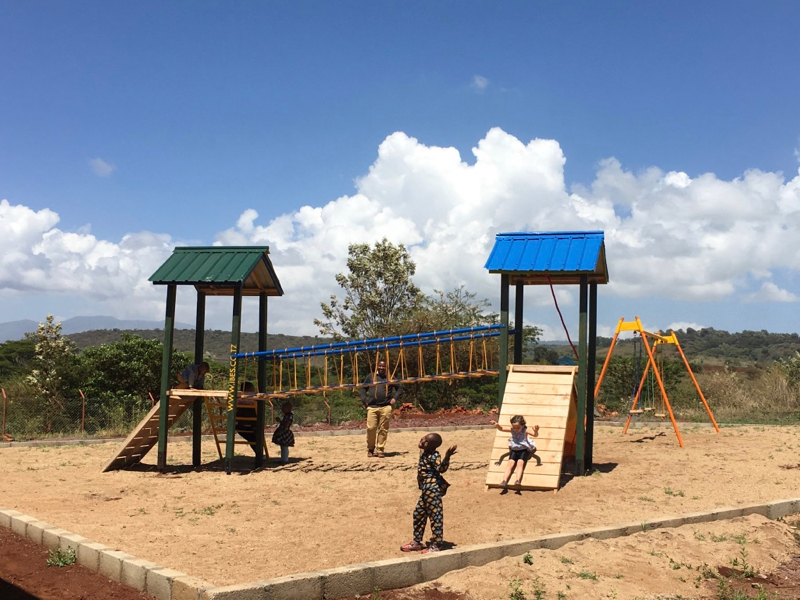 The dormitories are well on their way and will be completed by the time the Tanzanian school year starts in January. Thanks to additional design work by architecture and design firm NLÉ, the classrooms are outfitted with unique furniture build on site by our local craftsmen. I am happy to share the first pictures of construction of Black Rhino Academy. After a lot of paperwork and some delays you can finally see things taking shape. 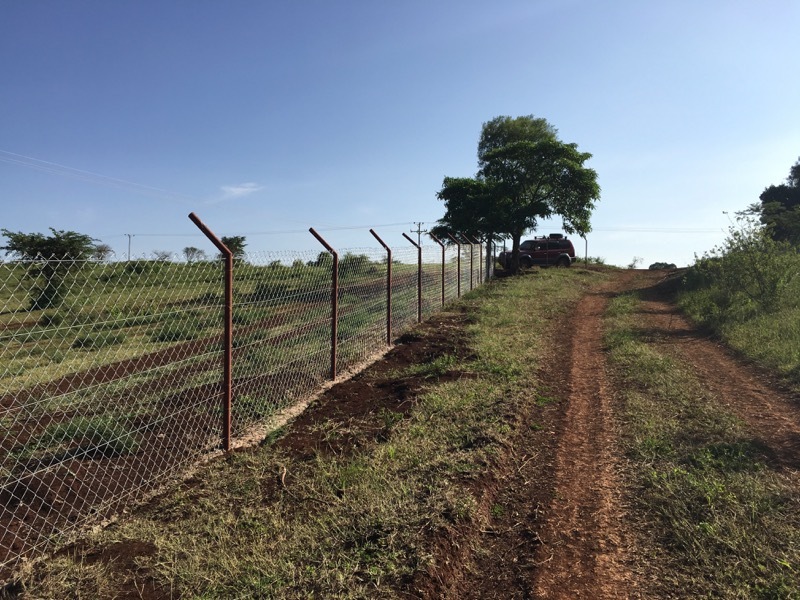 As we were fencing in the property, we had our first encounter with the local wildlife - elephants trying to get through the fence. They entered on an unfenced part and when trapped marched right through the fence on the other side. Thankfully we managed to fix the damage quickly and now that they are no opening, we hope the elephants will not try to break through again. We successfully drilled for water and soon will have a pump and tank installed. We also completed the service building which will house the main electricity connection, a small workshop and in the future solar power back up. Construction on our first classroom block has started and the site is buzzing with people digging, materials being delivered and additional building locations being set out. 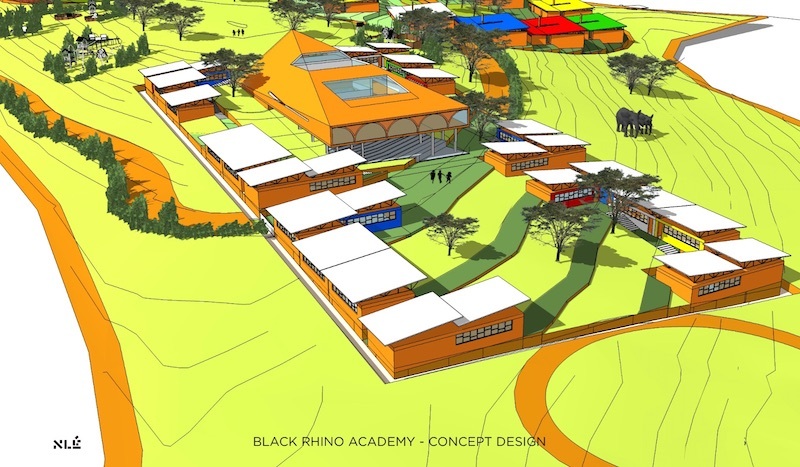 Please share this blog with family and friends who might be interested to learn more about Black Rhino Academy and its progress. You can also sign up for our email updates on this page.